I am a guitar teacher in Kiev, Ukraine, I give guitar lessons also in English and Spanish. 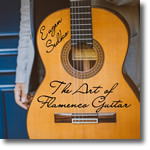 I am basically a flamenco guitarist but my sphere of teaching is larger - also basics of jazz and classical music, pop style, elements of music logic. Program of studying depends on your wishes. If you are interested, call me +38 099 307 54 00 or write me: mail at eugensedko dot com.